Benji: Yup. I was there when Serge Gainsbourg died. Caroline: Weren't you like, eight? Benji: Yeah. It was the end of Euro disco. Auteur filmmaker Noah Baumbach has specialized throughout his career in humorlessly reflecting on the various purgatories in our lives, or rather those lost years of stasis where the unknowns of life's supposed plans hit the unknowns within ourselves head on. His study of post-collegiate malaise in Kicking and Screaming was the genesis of his uniquely quirky vision—a blend of Whit Stillman's observationally verbose wit and Woody Allen's hilarious yet humanist portraits—that has carried on to other notable character studies he's penned, such as the dysfunctional family drama The Squid and the Whale and the mid-life crisis comedy Greenberg. 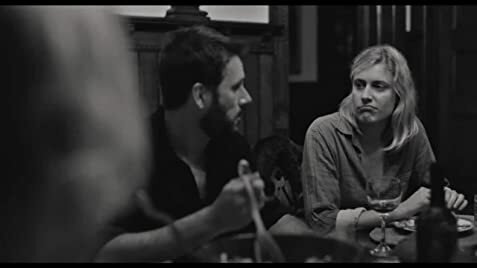 It was clear in the most sincere moments of the film Greenberg that Baumbach had a creative chemistry with one of its stars Greta Gerwig which has resulted in a new collaborative effort between them to create Baumbach's latest poignantly comedic film entitled Frances Ha, an energetically funny yet undeniably relatable contemplation on the aloof mid-twenties condition. Utilizing crisp black & white cinematography capturing the naturalistic backdrops of New York City, Sacramento, and Paris, Frances Ha possesses an alluring charm mostly through Greta Gerwig's charismatic performance but also in the film's embodiment of French New Wave revivalism that allows substance to shine in even the most monotonous of human interactions. This short and sweet tale on the ambiguity of adult life highlights the changing nature of responsibility, friendship, and love with a surprisingly modest and heartfelt genuineness rarely experienced in film. Though it might have some minor similarities to Lena Dunham's HBO show "Girls" there is no denying that Frances Ha is distinctly Baumbach in character design, cinematic style, and written cleverness. Protagonist Frances proclaims that she "loves things that appear as mistakes" which on its face is the eloquent sentiment that summarizes the film's genuine depiction of mid-twenties paralysis in the face of responsibility. Frances Ha ranks highly in Noah Baumbach's worthwhile filmography because it is probably his most accessible, authentically charming, and least pretentious film all thanks to the screen writing aid and engaging performance from Greta Gerwig.